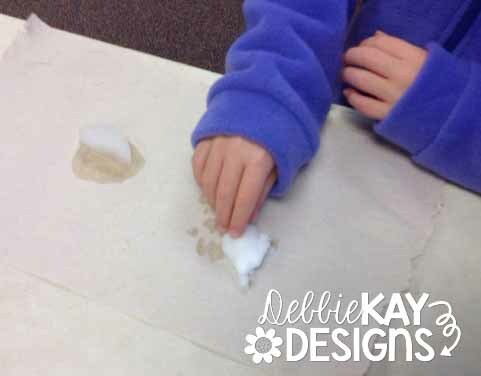 This week we continued investigating solids & liquids in the form of snow and ice. And, what do you know, we finally got some snow in Indiana on Sunday, so we had some snow to play with! Woot woot! When my students arrived on Monday, we dropped everything and did a little science investigation. I brought some ice to school and also scooped up some snow from outside just before buses arrived. 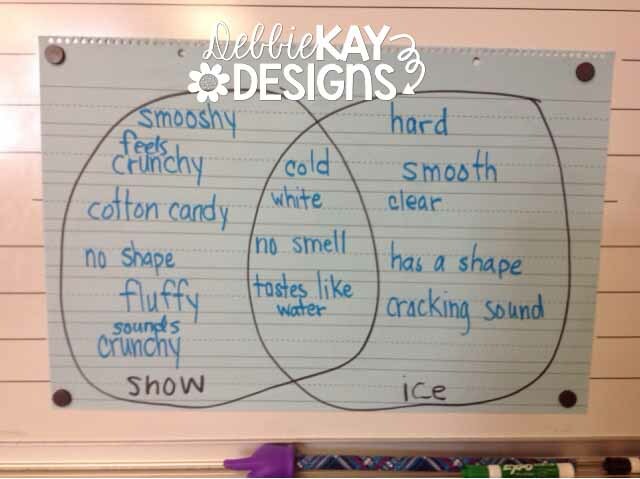 I asked each student to investigate snow and ice the way a scientist would. We thought about how they looked, felt, smelled, tasted, etc. Then we recorded our findings on a venn diagram. 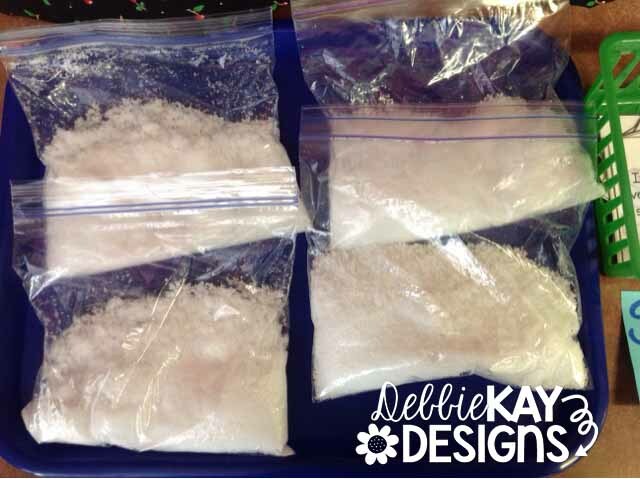 In our investigation station, I put some insta-snow for students to touch and feel during the week. I ordered this because when I was planning this unit of study a couple of weeks back, there was no snow in sight! I also pulled some things from The Science of January unit from Cara Carroll and Abby Mullins. Since we are currently studying persuasive/opinion writing, this sorting activity was perfect! 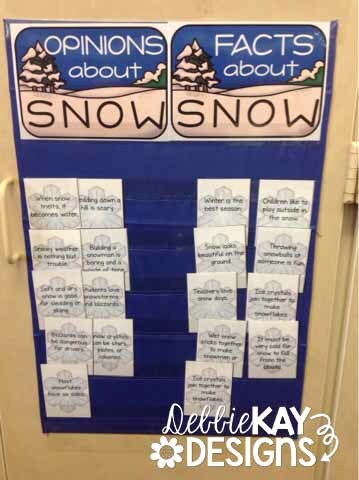 Students working at investigation station worked together to sort snow facts and opinions. 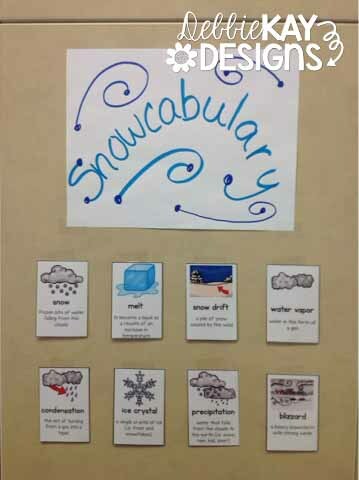 I also put some "snowcabulary" on the wall for students to refer to. Also from Cara & Abby's unit. 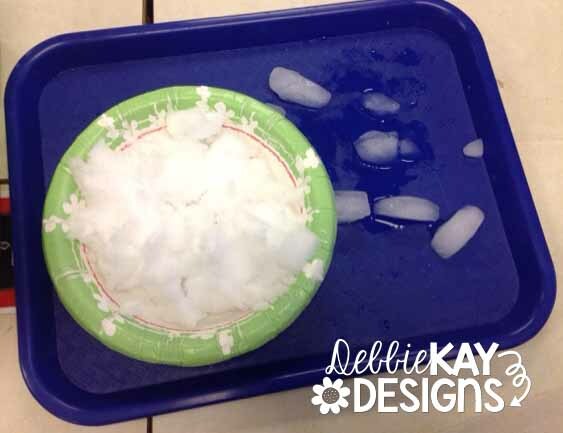 Stay tuned next week as we continue to dig in to this Project Based Learning unit on solids, liquids, and snow!